I did it! 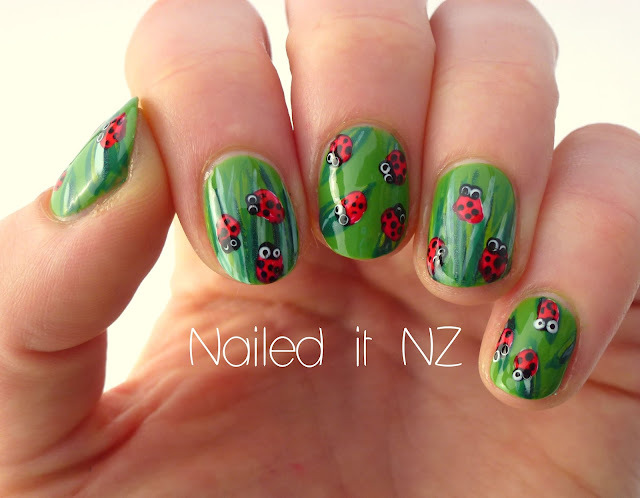 Finally got my ladybird nail tutorial up on YouTube. While fixing up all my computer stuff and downloading converters and whatnot I realised that the reason my YouTube uploads took so long was because the the files were WAY bigger than they needed to be! So editing was far less painful than normal. I even managed to record a narration this time - I've only done that once before and it was horrible and nasally-sounding. It still isn't great quality, but I'm getting there! 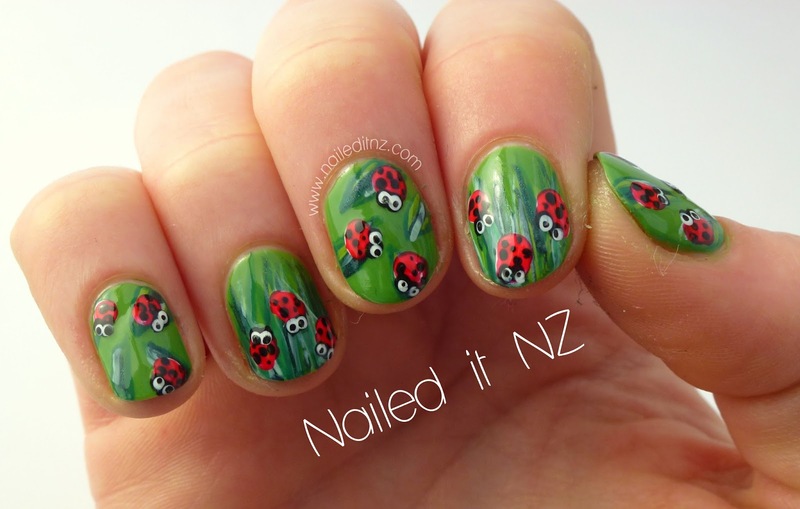 Anyway, so here are the ladybird/ladybug nails. 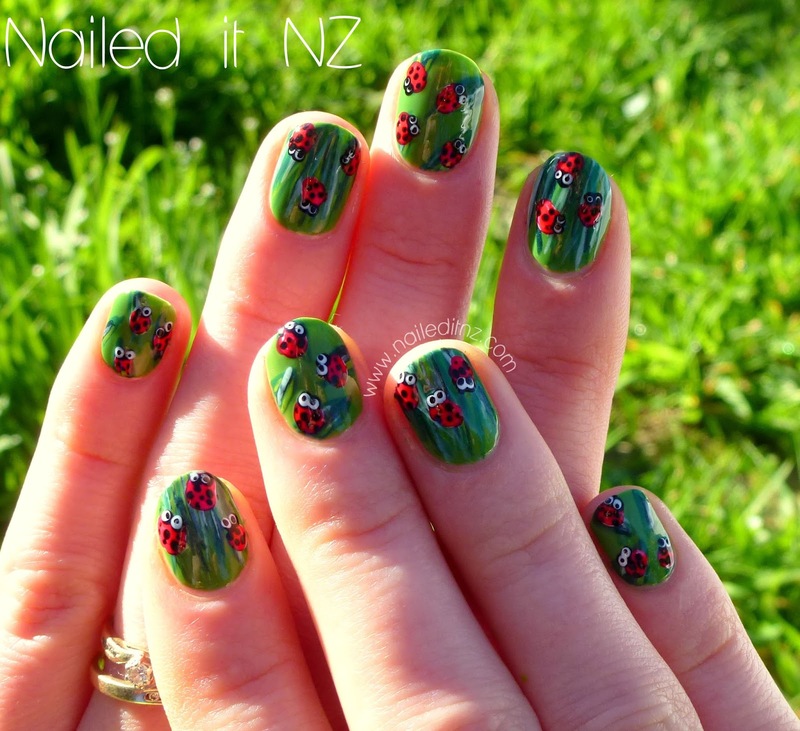 I did these originally a few months ago, on a friend. And here's the tutorial! Hope you all enjoy and please subscribe! Coming up to 1000 subscribers now, yay! Here's another look at the left and right hand. 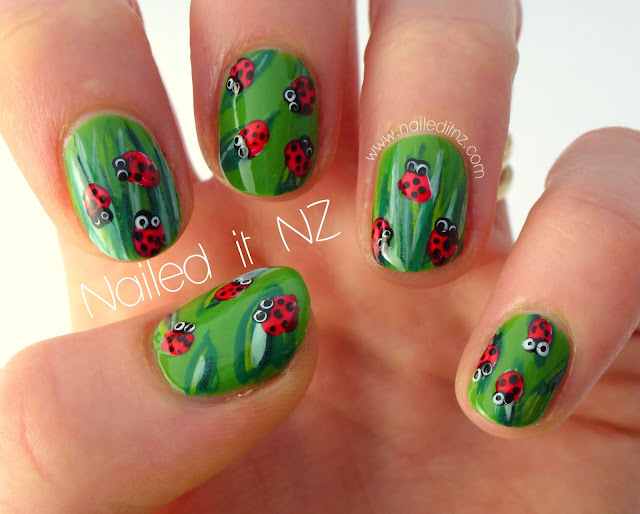 I love ladybird nails, they're so cute! While I put them in the "hard" playlist it's just a process, as usual. One step at a time and it's suddenly a lot easier. Let me know if you try them! Post them on my Facebook page! This is so cute!!! Nice tutorial too!